A leading and respected Specialist Hip and Knee Surgeon, Manoj Sood is in his 15th year of Specialist Consultant practice. He qualified at Guys Hospital in London in 1992 and undertook higher surgical training at The Royal National Orthopaedic Hospital (RNOH) in Stanmore. He was appointed as Lecturer to the Professorial Unit and further developed his interest in hip and knee surgery, training in complex and revision hip and knee replacement surgery, ligament reconstruction arthroscopic surgery and cartilage transplantation. He undertook higher training as a Senior Clinical Fellow in Hip and Knee Surgery both in the UK and in two of the best centres of excellence in North America in 2004, where he trained under two of the best hip and knee surgeons in the world. He gained further experience in managing the most complex hip and knee cases. At The Mayo Clinic in Minnesota, he worked with Dr Dan Berry and at Mount Sinai Hospital in Toronto with Prof Alan Gross. Mr Sood holds an NHS Consultant appointment specialising in Hip, Knee and Sports Surgery at Bedford Hospital NHS Trust where he leads a specialist Hip & Knee joint replacement and revision service and Sports arthroscopic knee and hip surgery service. Whilst he is an expert in Hip & Knee replacement he also has an interest in all joint preservation techniques, including key-hole surgery of the hip and knee, that help to delay the need for joint replacement. 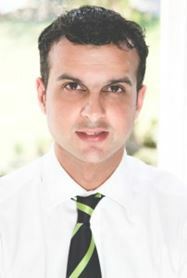 Mr Sood remains active in clinical research and teaching. He has published and presented numerous papers and continues to present work at National and International meetings. He is a faculty member on a number of post-graduate courses and is an Instructor on a number of hip surgery training courses. He lectures internationally. For a comprehensive list of Mr Sood’s publications, presentations and invited lectures please click here. 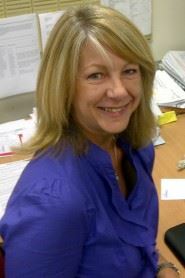 Debbie is an experienced medical PA who handles the everyday aspects of the practice. This includes dealing with all patient enquiries, appointment enquiries and surgery bookings. She is always available to answer any questions or to troubleshoot. She can be contacted in all the usual ways. Please see the "Contact Us" section for details. Katie works closely with Debbie in the office assisting her with manning the telephones and dealing with enquiries from patients. Sophie deals with all accounts and billing matters. She works in the accounts office daily from 9:00-14:00. Outside of these hours you should either email the accounts office or leave a voicemail message for her. She will respond to your message promptly. Anna is Mr Sood's surgical assistant. She assists him during all surgery that he performs privately. She is a very experienced surgical assistant who has a background as a theatre nurse but who has undertaken specialist training to allow her to work in this capacity.